Interesting back story to the link between Ringwood Brewery, now owned be Marston’s and Shipyard Ales. 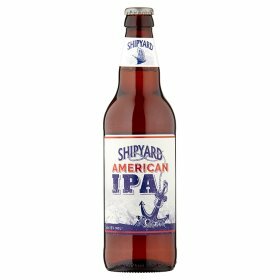 The Shipyard Master Brewer learnt his craft at Ringwood. They continue to collaborate on a range of beers so this really isn’t a ‘brewed in the UK’ rip-off but a true partnership. Who cares! I just liked the beer.